We are delighted to launch the first in a series of podcasts by the friendly Footprint Digital team. The brainchild of our very own radio star Thomas Rowson “Footprint Digital’s Race for First Place” Podcast series is designed to help demystify all things digital. The first topic we tackle is What is a digital marketing manager? Those performing this role for an organisation will know that it is a tough job. There is a huge range of digital platforms and opportunities out there, yet, budgets are often tight. Knowing how and where to invest is challenging. This podcast goes some way to answering this. 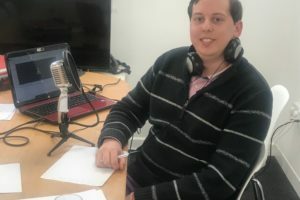 In this podcast host Thomas Rowson invites one of the company’s directors, Tom Bowden, to answer questions on the topic. We hope you enjoy it. If you have questions you would like us to address in future podcasts then please contact us here!